Go to Merchandise to order items by post or online. We occasionally have the odd 'deleted' item knocking about, so it's worth dropping us an email if there's anything you're particularly after. Recorded in Input Studio, Sheffield by the original Haze line-up for £45! Long since sold out, but copies occasionally turn up. Value around £10. Paul McMahon - guitars & vocals, Chris McMahon - bass, keyboards, bass pedals & vocals, Arthur Deas - drums & vocals, with Judith Copley & Jill Stodart - flute and Derek Nash - sax. Recorded on a borrowed Portastudio in our Cellar. Embarrassingly, it's still probably our best selling release! A/ Turn Around, Seven Stones, Portrait, Exiles Song. B/ Survive, In Gods Hands, The Vice, In The Light. Don't ever pay to appear on a compilation album! The only bands who do are crap, so you end up on a crap album! The terrible sleeve artwork belies nothing. We paid £4 each for 50 double albums and over a year later received 50 single albums, which we felt we couldn't sell for more than £2 each. We weren't doing you any favours! Possibly the LPs only claim to fame is that it features our first recording with Paul Chisnell. A/ A5, Mind Transmitter. Peter Stephenson, Discovering Hotel Rooms. Iain Richmond, My Singing Star. Summer Of Love, All Alone. Betta Splendens, Strangers. Rigel Feedback, Con Brio. B/ Yeah Yeah, The Ballad Of Mean Joe. Haze, Turn Around. Flame, Hey Mister, Professor Of Boredom, Style Is Dead. I'm Dead, Perhaps Another Day. Freeway, Terrible Day, Triad, Home By One. Electromagnetic evidence of the 1984 UK Electronica festival, held at Sheffield University. We were invited to join the bill of assorted electronic and progressive bands at the last minute. I don't know who else appears as I don't have copies. Video - Haze, The Hum. Cassette - Haze, Don't Leave Me Here. 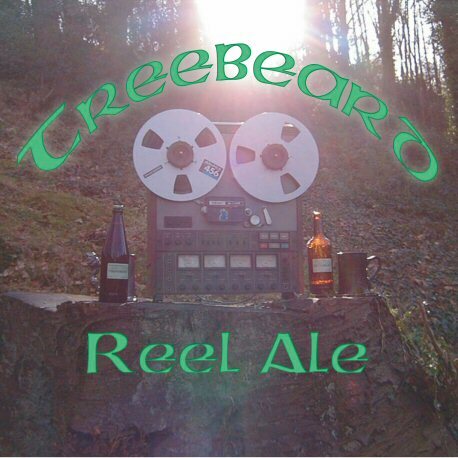 Money from the sales of 'Cellar Tapes' enabled us to buy a Teac open reel 4-track, which, along with a 12 channel mixing desk built by roadies Richard Webb & Brian Wilkinson, was used to record our first LP for Pinnacle Records. Recently re-issued on CD on Cyclops Records. A/ Roger's Revenge, Don't Leave Me Here, Fallen Leaves, The Load. B/ Mirage, For Whom, The Hum, Gabadon. An interview with Haze recorded between sets at the Wheatsheaf, Rushden, 16/06/84, interspersed with tracks from 'C'est La Vie'. Also includes a brief outro from French electronic artist Dr Phil. Terry ran a Hawkwind based fanzine 'Orbit' during the 80s. I don't know if he's still going, but you could try Orbit c/o Terry Hopkins, 8 Maple Road, Rushden, Northants NN10 OJS. We were becoming increasingly embarrassed by the basic recording quality of 'Cellar Tapes', so decided to re-record some of the old material with the new line up. A/ The Night, I Fear That I'll.., Survive, Portrait, A Firkin Of Mead, Take Me Home. B/	Aardvarks Anonymous/Turn Around, Unto The Dawn/In The Light/Dig The Mushrooms, Anonymous Aardvarks. A/ The Ember, The Ceiling's Coming Down. Fire In Harmony - L.P. Elusive records was a subsidiary of EMI, set up by Marillion manager John Earning, who released Pendragon albums, as well as this compilation. This was our highest chart placing, making no 49 in the Kerrang! album charts. The Solstice & Pendragon tracks were taken from their LPs at the time. All other tracks were recorded especially for this compilation. A/ Pendragon, Fly High, Fall Far. Haze, Shadows. Liaison, A Tale Of You. Trilogy, Hidden Mysteries. B/ Solstice, Peace. Citizen Cain, Unspoken Words. La Host, Blood & Roses. Quasar, Fire In The Sky. Paul McMahon - guitars & vocals, Chris McMahon - bass, keyboards, bass pedals & vocals, Paul Chisnell - drums & vocals. Even by 1986, 'Cellar Tapes' was still our best selling release. We decided that the secret of it's success was due to it's price. A cheap and cheerful live tape seemed the answer. A/ Seven Stones, In Gods Hands, Slight Mental Incapacity/What A Barber Does. B/ The Load, The Exiles Mega Medley. Paul McMahon - guitars & vocals, Chris McMahon - bass, keyboards, bass pedals & vocals, Paul Chisnell - drums & vocals, with Derek Nash, sax & flute. A/ Bellied, Don't Leave Me Here, End Of The Day, We Used To Know, Mushy Funk, Shadows. B/ Aardvarks, Baker St. If Leaving Me Is Easy, Pick Up The Pieces (Mole Mix). The single from 'Stoat & Bottle', it was to have been released to coincide with the October 86 tour. However, this was cancelled when we were run in to by a Volvo estate on the way to the first gig in Station. The tour was re-scheduled for December, and most of the tracks we had recorded over summer for the LP were scrapped and re-recorded in Jan/Feb 87. A/ Tunnel Vision. B/ Shadows. A fine collection of late 80s prog, put together by Steven Wilson, now of Porcupine Tree. 'In The End' was an alternative version from the 'Stoat & Bottle' sessions. A/Isthar, M'Allegro(Opus 5). The Bond, Seriously Siblings. Mazlyn Jones, First Light. Heimdal, Somnis. B/No Man Is An Island, Faith's Last Doubt. Anthony Phillips, Promenade. Rousseau, Breakfast At Tiffany's. Airspeed, Far Away Screams. Haze, In The End. C/Plenty, Forest Almost Burning/Sacrifice. Rog Patterson, Party Piece. Galadriel, Summit. D/Abel Ganz, Dangers Of Strangers. Wierdstone, Circles. Egdon Heath, In The City. Notturno Concertante, Nocturne. Was finally released on 01/04/97, and includes a different (and rather better) version of 'Tunnel Vision'. The cassette copy includes 'Shadows' form the single B side & has a slightly different running order. A/ Stoat & Bottle, See Her Face, In The End, Humbug/The Vice, Autumn. B/ Resealing/Tunnel Vision, Ophelia, In The Universe, Fading Away, Last Orders. Another fan club tape, this time a C90 for £2. Side 1 opened with a studio recording of 'Something In The Air', done around the time of the 'Stoat & Bottle' sessions. Side 2 comprises the second set of our 'Gladstone Arms' gig in Peterborough. This was our last gig before taking a break to record 'Stoat & Bottle', and finds the band in high spirits, with Chisnell's Phil Collins pastiche intros and the absurd 'wire cutters to the guitar strings' incident in 'Mountain'. A/ Something In The Air, Take Me Home, Merry Xmas/Freedom Rd. Xmas Medley, Summertime (Single Bass), Mirage, Hangman & The Papist, Don't Leave My Portrait Here, Look Around (edit), One Way World (edit)(with Arthur Deas), Badge, Aardvarks Inevitable. B/ Watford Hotel, Survive, Tunnel Vision, Don't Leave Me Here, Born In Peterboro', Fallen Leaves, Mountain, One Of Those Outro's. Another C90 for £2.00, mainly taken from the Christmas 86 tour, plus some oddments from the club set. A/ Intro, Into The Fire, Ceiling's Coming Down, Red Room, Turnaportex Medley, Another Country, Autumn, Humbug, TIBATEOS1, Coke. B/ Mountain, Straw House, 5 Days Of Xmas, Wooden House, Stone House, No Quarter, Too Much Alcohol. Love For All Seasons - L.P.
Alan Charnley - vocals, Chris McMahon - keyboards & programming, Nick Robinson - guitars. The first of my extra-curricular dalliances. Alan was a journalist and prolific pop songwriter who used to book time in our studio to demo his songs. This album was recorded over three weekends at Fairview in Hull. Nick left the band on the way home from the last session. I played one gig with Alan plus a guitarist I met for the first time at the soundcheck. That was the end of Sydney Bridge & The Harbour! The style was pop piano ballads with Leo Sayer/early Bee Gees vocals. I had 20 copies of the L.P. which I sold, Alan's still probably got the other 980 in his bedroom. A/ Best Years, Smoke Signals, Desperation, Without You, Love For All Seasons. B/ Rodeo Rider, Natural High, Faithful, Safe From The Storm, Home, Leaving. Paul Chisnell's farewell show with the band in all it's glory! Recorded live at Sheffield University on 27th May 1988. A/ Intro, Into The Fire, Don't Leave Me Here, Autumn, Ceiling's Coming Down, Red Room. B/ For Whom, Fading Away, The Vice, Hangman & The Papist, In The Light/Dig Them Mushrooms, See Her Face, The Ember. C/ Another Country, The Load, Wooden House, Fallen Leaves, Mountain, The Hum. D/ The Night, Cocaine, Stone House. Paul McMahon - guitars & vocals, Chris McMahon - bass, keyboards, bass pedals & vocals, Paul Chisnell - drums & vocals. 'Drift Away' & 'Prime Mover' Paul McMahon - guitar & vocals, Chris McMahon - keyboards & vocals, Alen Shaw - bass & vocals, Andrew Feeney - drums. The final Haze fan club tape, includes the 17 minute epic 'Changes In Time' from 1980, plus the only live version of 'Last Orders' and covers from the short live 4-piece Haze #6. A/ Intro, Night/Mush/Dawn Medley, Epitaph, Changes In Time (with Andy McNaghten). B/ New Song, Seven Stones, Drift Away, Prime Mover, Last Orders, In The End. Recorded in anger after the breakup of Haze, side one was the precursor of Von Daniken, side two was mainly covers, with the ill-advised combination of me playing guitar & singing! A/ Mellow Side: Electrick Fish Music i) Gnathonemus Petersii ii) Mathematical Worms iii) Seasoned Rivers iv) Phasers To Stun v) Alien Shore vi) Chopsticks Thru The Neck Pinned Him To His Sushi Bowl vii) Perplectic Eclectic Didactic Dialectic viii) Fish Finger Frenzy a) Terrapin b) Plank's Ton ix) Ah! That Warm Jazz Tone x) Whelk Song	xi) Over The Border xii) Amphibious Aardvarks, Far Over Misty Mountains. B/ Not So Mellow Side: Shot By Both Sides, Wild Dogs, The Liquidator, Lost Johnny, Roger's House/Gabadon Rap, Seal Cull City, Rodents Of Unusual Size. Paul McMahon - guitar & vocals, Chris McMahon - keyboards, Fudge Smith - drums, Alen Shaw - bass & vocals. A/ Under Pressure, Devotion, Ceiling (inst. ), Another Country, Edge Of Heaven. B/ See Her Face, Fading Away, Straw House,	Wooden House, Stone House. Lemonade & Cyanide - L.P.
One of a number of Mighty Sheffield Records compilations. I collaborated with Nick on a re-recording of one of his old band Red Zoo's songs. A/ The Warhols, Edge Of Love. The Fireworks, Won't Somebody Tell Me. Rise, When Will The Beat Stop. Don Valley & The Rotherhides, Southbound. The Citizans, Eyes Of Jealous Girl. Debut, Charity. The Big Pants, Big Cake Man. Nick Robinson, Did I? Tear 3, Tears Mark Passion. B/ Cold Vietnam, Hunt The Man. Death Trash, Death Trash Rock & Roll (live). Crane, Inventor. Devoid, No Ambition. GGF, What's The Point? The Bland, Hurlee Burlee Shirlee. Sedition, Inhuman Industries. The Dollar Babies, Easy Pickings. Blammo, Just A Minute. Into The Storm, The Same Circle. Another Mighty Sheffield Records compilation. This was a soundtrack album for a photo-art exhibition. We went under the name 736-9, which is apparently the library reference for origami books, and produced a suitably avant-garde soundscape. I am assuming that these L.P.s are deleted, but you could always check with Mighty Sheffield Records on 0114 273 0165. A/ Stinging Jellyfish, Cupid Is Dead. The Gallery, My Ruin. Media Premonition, Acid Casualty. Loony Tunes, The Lost Revolution. Rise, Blue Murder. Poisonous Little Creatures, Entryhead. B/ The Warhols, Candytown. World Hum, Selling The Cocaine Life. The Gallery, Time. 736-9, Jung. Rise, Shutter Clutter. The Big Pants, The Toilet Is Your Only Friend. 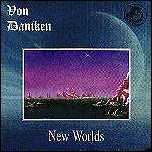 Von Daniken - New Worlds - Cassette & C.D. Chris McMahon - keyboards & vocals, Warren Jacques - guitar & vocals. After World Turtle broke up, Von Daniken took over the outstanding tour dates & then set to work on following up 'Flying Saucers'. The 'B' side was recorded in 24 hours, less than a month after 'Flying Saucers' was finished. Side 'A' took a little longer. 'New Worlds' has recently been re-issued on CD. The tracks have been re-mixed, with guitar added to 'New Worlds', and we recorded a new piece 'Electric Fish Music', based around side one of 'Flying Saucers'. A/ Suspended Animation a) Ursa Minor b) Cataclysm Imminent c) Closedown. New Worlds; From The Submarine Canyons Of The Eigenmannia..., Funky Dog, Pleasant Interlude 17/ Horribly Atonal Sequence, ...To The Farthest Worlds Of Space. "...a splendid and delicate web of music. New age, progressive and rock comes here to a beautiful encounter." Paul McMahon - guitar, vocals & programming, Chris McMahon - keyboards, vocals & programming. World Turtle reformed in 1991 and promptly changed their name to Alien Shore. Sam Carr joined on drums and the name was again changed to Groove Taboo. Sam & Alen left at the end of 1991 and the McMahon brothers continued as Groove Taboo, releasing the 'Groove Taboo' cassette in 1992. Finally the name was changed back to World Turtle and the cassette was reissued with new sleeve artwork. 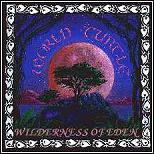 Like 'Alien Shore', a number of these tracks were re-recorded for the World Turtle 'Haze' CD. This was definitely our funkiest phase. Not recommended for the hardened 'if it ain't prog it's no good' types. Tracks Under My Skin, Under Pressure, Safe Harbour, New Dark Ages, The Silence, Rip Van Winkle, Tunnel Vision, Ship Of Fools, Stone House. The Peterhouse Trust is a Nottingham based charity whose aim is to raise money for an AIDS/HIV hospice in Nottingham. A number of very different bands have contributed, making this a very eclectic compilation indeed! Everything from Folk to Cow-Punk, House to guitar histrionics can be found here. (But no prog!). The World Turtle tracks are the funkier than average 'Devotion' and 'Rip Van Winkle'. 'Devotion' is an outtake from the 'Groove Taboo' sessions and 'Rip Van Winkle' is a remix of the 'Groove Taboo' track. All proceeds go to the Peterhouse Trust. Also available on cassette. Tracks: Drop In The Ocean, Baby, Seven Little Sisters. Rip Van Winkle, Devotion, World Turtle. The Drowning Song, Absolutely Polkas, Stranger Fayre. Where and why have you gone? New Life, The Dark Waltz, Lines. TV, Mr California, The V Necks. Flashing Yellow Light, Chemical. Starski 1, Starski. Open Up Your Mind, Ian Siegal. We thought Haze were dead & buried, when along came Kinesis with the offer of releasing a 'best of' CD. This is a rather unrepresentatively 'progressive' selection of the back catalogue. 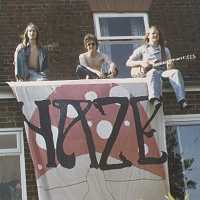 Haze were arguably the most individualistic of the 80's British Progressives. Some songs may recall Genesis or Camel, but what comes through overall is their own unique yet accessible style. 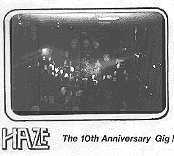 The first Haze CD to be released, 'In The End' is a compilation of the most progressive of Haze's music, remixed by Chris McMahon & Warren Jacques and issued on Kinesis Discs in December 1992. The track listing relies heavily on the 1987 LP 'Stoat & Bottle', and also includes tracks from 'C'est La Vie', 'Cellar Replay', 'The Ember' and one track 'Red Room' from the fan club live '10th Anniversary cassette. Includes all lyrics. Tracks: Ophelia, I Fear That I'll..., Survive, For Whom, Fallen Leaves, Humbug, The Vice, In The Universe, Dig Them Mushrooms, A Firkin of Mead, The Load, Stoat and Bottle, Resealing, Tunnel Vision, In The End, Red Room, Mountain, Last Orders. "...a great package for both the newcomer and enthusiast...Reissues just don't come any better than this." Ophelia, I Fear That I'll...Survive, For Whom, Fallen Leaves, Humbug, The Vice, In The Universe, Dig Them Mushrooms, A Firkin Of Mead, The Load, Stoat & Bottle, Resealing, Tunnel Vision, In The End, The Red Room, Mountain, Last Orders. 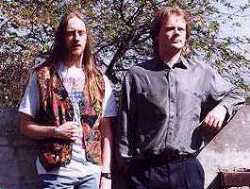 Chris McMahon - keyboards & programming, Warren Jacques - guitar. Also Jon Grainger - guitar. A collection of 'new age' tracks from the Electronical Dreams label. 'Turtle Haze' is a previously unreleased rearrangement of familiar Von Daniken music. I also provided keyboards, programming & mixing for Jon Grainger's track. Von Daniken, Turtle Haze. Jon Grainger, When words aren't enough. Loads of others! The Progressive Rock Audio Directory is a three cassette compilation of everyone who's anyone in the current prog rock scene. Includes numerous exclusive & previously unreleased tracks. From Dave Robinson, the author of the prog rockers' Bible 'The Progressive Rock Directory'. Includes Von Daniken's 'Earthlight' and World Turtle's 'More'. Tape 1: Guitar Orchestra, Africa. Manitou, This Life. Big Big Train, Far Distant Thing. Rook, Time To Decide. Evolution, Matter Of Fact. Final Conflict, Wastelands. Pallas, Refugee. Galahad, Suffering In Silence. Ezra, Smiled At Me. Iron Clowns, Like A Drug. Von Daniken, Earthlight. Sphere, Fallout. No-Man (+Fripp), Things Change. Epilogue, Hide. Tape 2: Cyan, Broken Man. World Turtle, More. Exhibit A, Within These Walls. Vietgrove, K.W. Marc Catley, November. Primitive Instinct, Friend. Quasar, As You Fall Asleep. Framework, Picture Glass Theatre. Maryen Cairns, Breaking. Mr So & So, Hobson The Traveller. Grace, The Fool. Earthstone, Green Pipe. Porcupine Tree, Fadeaway. Tape 3: Credo, Sweet Scarlet Whisper. Vulgar Unicorn, House At Fudge Corner. Strangeland, Wake Far Away. The Covenant, Flowers In The Desert. Iona, The Final Journey & Treasure. Legend, Storm Warning. Red Jasper, The Night Visitor. Simon Champion, Siberia. Grey Lady Down, Time & Tide. Mike Stobbie, Exordium. Solstice, Medicine. Cyclops Sampler 1 - C.D. When Cyclops approached us at Christmas '93 to re-record some Haze/World Turtle material for CD issue, we jumped at the chance. 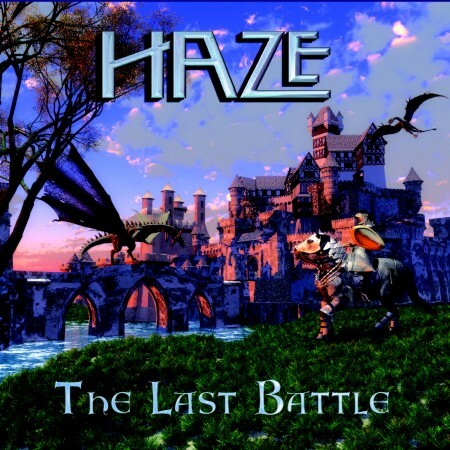 Much of the material was written toward the end of Haze, but only previously released on the World Turtle cassettes (and Haze live fan club tapes). All tracks were recorded in our home studio, then mixed at Fon studio. Formed by Chris & Paul McMahon, Haze established themselves as one of the hardest working underground 'progressive' bands of the 80s. 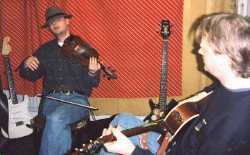 Ten years, four drummers and nearly 700 gigs later the band broke up and the McMahon brothers formed World Turtle. World Turtle have continued the eclectic style of Haze, mixing rock & funk, pop & progressive in their own distinctive style. This CD features brand new recordings of previously unreleased latter day Haze tracks, plus the best of World Turtle's two cassette only releases. Tracks: The Ember, See Her Face, Ship Of Fools, Edge Of Heaven, Don't Leave Me Here, Epitaph, Under My Skin, New Dark Ages, Safe Harbour, Autumn, Another Country, Straw House, Wooden House, Stone House. playing... a driving rock song with great bass & guitar work... (is followed by) ...a ballad of sheer beauty. "Palatable prog reissue (sic) from well known early 80s combo." Kerrang! Tracks: The Vice, Survive, Freedom Road, Don't Leave Me Here, In The Light/Dig Them Mushrooms, Shadows, The Ember, The Hum, Mountain. (There are some other videos of Haze/World Turtle in our archives, full shows were video'd at Stocksbridge in 83 and Christchurch in 86, but the quality is too poor for release. There are also studio versions of 'Ophelia' from 86, 'Under My Skin' from 92 and 'One Day' from 96 which may be worth putting out if there's any interest - let us know what you think). One track from each of Kinesis' artists, including 'Ophelia' from 'In The End'. A popular introduction to Kinesis. Casternarc, Peyote. Casternarc, Leo. Multi Storey, The Wire. Ken Watson, Next. Haze, Ophelia. Fonya, Blue Foot. Iluvater, Exodus. Cathedral, Pinochio. However, It's Good Fun. Earthstone, In The Winter Of Night. Jeremy, Deep Sleep. Haze - C'est La Vie/The Ember - C.D. Paul Chisnell - drums & vocals. Haze's first vinyl album "C'est la vie" is now a collector's item fetching upward of £40 at record fairs. For this CD the entire album has been remixed & remastered, de-noised and computer enhanced, to achieve a sound quality unheard on the original release. Also included are the four tracks from the band's 1985 12" single "The Ember", again remixed & remastered. Includes 8 page booklet of photos and extensive sleeve notes. Free lyric book available on request. Mirage, For Whom, The Hum, Gabadon, Roger's Revenge, Don't Leave Me Here, Fallen Leaves, The Load, The Ember, The Ceiling's Coming Down, Freedom Road, Mountain. "Haze are the epitome of the 80s prog sound...this CD is packed with classic REAL prog...highly recommended." Wilderness Of Eden Chris McMahon - bass & keyboards. Paul McMahon - guitar & vocals. Sam Carr - drums, Warren Jacques - guitar, Derek Nash - sax & flute, Nick Robinson - guitar, Fredrik Satsuma - guitar & vocals, Gordon Walker - violin & mandolin, Linda Wilson - viola. Our latest, and in our opinion, greatest release! Many special guests make this our most richly textured work. We've also finally got the recording quality to a standard that we are happy with, while maintaining the feel by using a real drummer. Tracks:- Let Go, Heroes, Wilderness Of Eden, The Last Unicorn, Kickback, Queen's Gambit, Stalemate, Vertigo, The Long Sleep, Rip Van Winkle, Wolf, Wave, Human, One Day. 20th anniversary show Chris McMahon - bass, bass pedals, keyboards & vocals. Paul McMahon - electric guitar, acoustic guitar, guitar synth & lead vocals. Paul Chisnell - percussion & vocals. You've seen the show, now eat the pie - or something like that. Amazingly, we remembered the songs, and probably played them better than we ever did in the 80s. CD1 Tracks:- The Vice, Gabadon, Survive, Shadows, In The Universe, In The Light, Dig Them Mushrooms, The Hum, Seven Stones, Mountain, The Night. CD 2 Tracks:- The Ember, For Whom, Fallen Leaves, The Load, Don't Leave Me Here, See Her Face, Chat, Hangman & The Papist, The Red Room, Brain Damage/Eclipse, The Exiles Song. 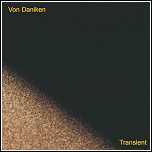 Von Daniken Transient - C.D. The long awaited (by us anyway) follow up to 'New Worlds'. 'Transient' is as much Warren's work as the first album was mine, so there's a much harder guitar edge to many of the pieces, as well as more vocal numbers. Von Daniken gig goers (I know you're out there somewhere) should recognise 'See What We Believe' as 'This Song', and some of the other pieces are developments of ideas from the first album. Recorded using Cubase VST in Warren's Apple Mac. Warren Jacques - vocals, guitars, percussion & programming. Chris McMahon - keyboards & programming. Derek Nash - tenor & alto saxophone. Tracks:- Paradigmatic, See What We Believe, Ant-Bear Variations, Are You Or Have You Ever Been, Adventures Of The Interim Group, Pradigmatic II, Transient. Tracks:- The Night, I fear that I'll, Survive, Portrait, A Firkin Of Mead, Take Me Home, Aardvarks Anonymous, Turn Around, Unto The Dawn, In The Light, Dig Them Mushrooms, Anonymous Aardvarks, Seven Stones, The Exiles Song, Seven Stones (live), Aardvarks reprise. 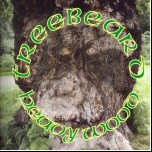 The debut CD from Treebeard, featuring Chris & Paul McMahon, Paul Chisnell, Chris Jellis & Gordon Walker on assorted acoustic instruments. Includes a mix of traditional, contemporary & original songs & tunes. See the website for more details. 6 track demo featuring 3 studio & 3 live tracks. Plus video of "Matty Groves" from the 2weeks to make it competition. Track listing:- Cold Haily Windy Night, Black Is The Colour, Ye Jacobites, Port of Amsterdam, Copshawholme Fair, Matty Groves. 4 track demo featuring St Chartier, Tabbitha's Jig, Hitchiking, Capra Demonicus . See the website for more details. Track listing:-Stoat & Bottle, See Her Face, In The End, In The Universe, Humbug, The Vice, Autumn, Resealing, Tunnel Vision, Ophelia, Shadows, Fading Away, Last Orders, Into The Fire, Another Country, Safe Harbour, Wooden House, Stone House. Recorded live at The Peel in Kingston & The Boardwalk in Sheffield on 31st May & 1st June 2008, includes all the songs played at both concerts. For these gigs the band tried to avoid playing too many of the obvious choices that had already been captured live on their 10th and 20th Anniversary CDs, by including six new songs and some of their oldest (Turn Around, Portrait and Unto The Dawn) together with classics from their repertoire (Last Orders, Seven Stones and The Vice). The classic trio line up of Paul Chisnell and brothers Paul and Chris McMahon are joined on some tracks by flautist Ceri Ashton, to make this an essential buy even if you couldn抰 make the concerts. Track listing:- CD1 Intro, Turn Around, Mirage, Over The River, Another Country, Autumn, 4 Real, See her Face, Portrait, The Edge of Heaven, Let Go, The Vice. CD2 Hitchhiking, Ophelia, In The End, Dragonfly, Train, The Hum (inc Danny抯 jig), A Firkin of Mead, The Barrister & The Bargast, Unto The Dawn, In The Light, The Night, Seven Stones, Last Orders, Comfortably Numb. Track listing:-Train, Three McMahons, Driftwood, Dun Ringill, Ale Jug/Rice, Believe, Over The Hills And Far Away, Tam Lin/Sleep Soundly In The Morning, Free Electric Band (dedicated to Sass), Going To California, Singularly Fine Day, Star Of The County Down, Chris World/Around The World For Sport, Highwayman抯 Hollow, Russian Medley, Ace Of Spades, One Day Like This/Hey Jude. 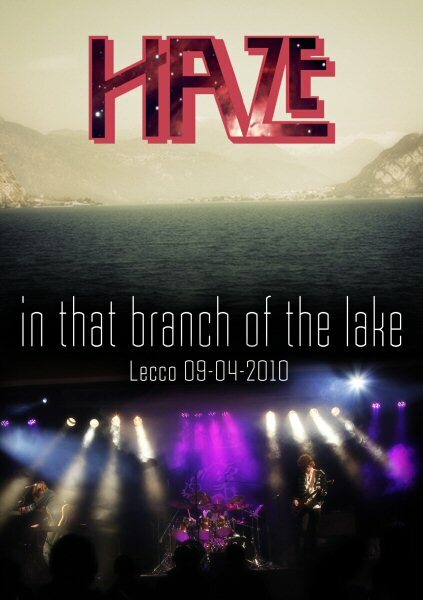 The DVD was paid for & produced by Daniel Castracane, fan, friend & promoter of our three Italian tours. It was professionally filmed & edited, the sound is from one of the cameras & is good quality, though not as sharp and clear as it would be directly from the mixing desk. More info here. Tracks listing:-Mirage, Portrait, Survive, Ophelia, Dragonfly, Fallen Leaves, Over The River, The Barrister And The Bargast, The Edge Of Heaven, The Last Battle, The Load, The Vice, Changes In Time, Seven Stones, Dig Them Mushrooms, Mountain, Last Orders. Featuring the "classic" line-up of Chris & Paul McMahon & Paul Chisnell, joined by Cat & Ceri Ashton of The Outlandish Knights, this is Paul Chisnell's swan song, as he has just announced his retirement from playing due to tinnitus. A return to classic Haze form, with a new folky twist. More info & order here.